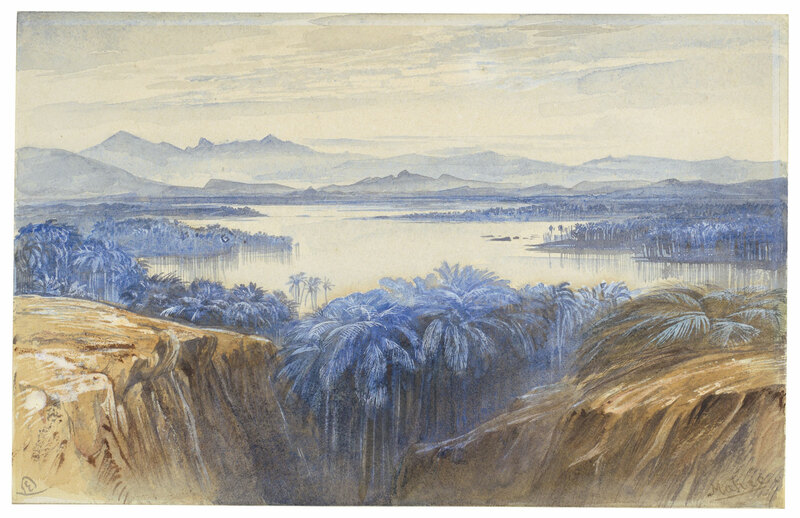 Edward Lear, A view of Mahe, Kerala, India. Signed with monogram (lower left) and inscribed ‘Mahee.’ (lower right). Pencil and watercolor heightened with bodycolor. 6 5/8 x 10 ¼ in. (16.8 x 26 cm). Anonymous sale; Christie’s, London, 22 March 1966, lot 47. Anonymous sale; Christie’s, London, 10 December 2008, lot 51.
with Stephen Ongpin Fine Art, London. This entry was posted in Edward Lear and tagged Edward Lear, India, landscape, travel, watercolours. Bookmark the permalink.